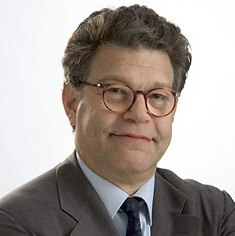 Now that the Minnesota Supreme Court has resolved the Franken-Coleman election dispute, Al Franken will take his seat as the junior Senator from Minnesota, presumably during the coming week. There’s a lot of talk about the Democrats having a filibuster-proof 60-vote supermajority with Franken in the Senate. The fact is, it’s a pretty shaky supermajority. Of the 60 senators in the Senate Democratic Caucus, Senator Bernie Sanders and Senator Joe Lieberman are both independents, and Lieberman in particular often doesn’t follow the party line. Newly-minted Democrat Arlen Specter will go where his conscience takes him. Senator Robert Byrd and Senator Ted Kennedy are both ill and frequently miss votes. It’s been said many times that organizing and leading senators is like herding cats. There are Democratic senators who don’t necessarily support some of President Obama’s programs, and there are Republicans who might support them now and then — Olympia Snowe, Susan Collins, and perhaps a few others. So on any given Senate action needing a 60-vote majority, which is most of them these days, there will likely be some Democrats and some Republicans who cross the aisle. That won’t always give the Democrats the votes they need. What this means is that the President and the Democratic leadership in the Senate can’t push Republicans around too much without risking the loss of defectors they’re going to need fairly frequently. They also have to moderate some of their initiatives to keep the moderate Democrats in line. Franken, the loud-mouthed former comedian, will be the 60th member of the Senate Democratic caucus — just enough for them to cut off any filibuster threat if they can muster all their members. With solid majorities in both houses, the Democratic leaders, Harry Reid and Nancy Pelosi, could dismiss Republican objections to any bill without a second thought. Yet that would not only contradict President Obama’s promise to change the partisan climate in Washington but would also entail unnecessary risks to Obama’s ambitious policy goals. Many who have heard Republican leaders in Congress proclaim their opposition to almost every piece of Obama’s program are saying, “To hell with them.” Instead of seeking to enlist Republican support, they urge Obama to tailor everything to the wishes of his Democratic allies. Yet when it comes to the big initiatives — energy, health care and the rest — the risks of such a choice are obvious. When no Republican votes are in play, the price individual Democratic legislators can extract from the White House goes up. We saw plenty of that with the stimulus bill and the energy bill, both of which were weakened substantively by the concessions Obama had to make to get the last Democratic votes. Al Franken’s presence in the Senate isn’t actually going to make that much difference. The bipartisanship and “change” President Obama talked about during the campaign hasn’t happened. Democrats vilify Republicans at every turn and completely cut them out when possible, greasing-up only the few who might defect on the next vote. Republicans mostly sit back and obstruct everything they can, blabbing mindlessly about the threat of socialism and the impending destruction of the free market. Most — Democrats and Republicans alike — don’t seem to care that much about what’s good for the country. It is good to read your writing again. You as always have hit the nail on the head. Keep up the good work.